The Medline E-Tank Oxygen Cart makes traveling and getting around with an oxygen cylinder easy. 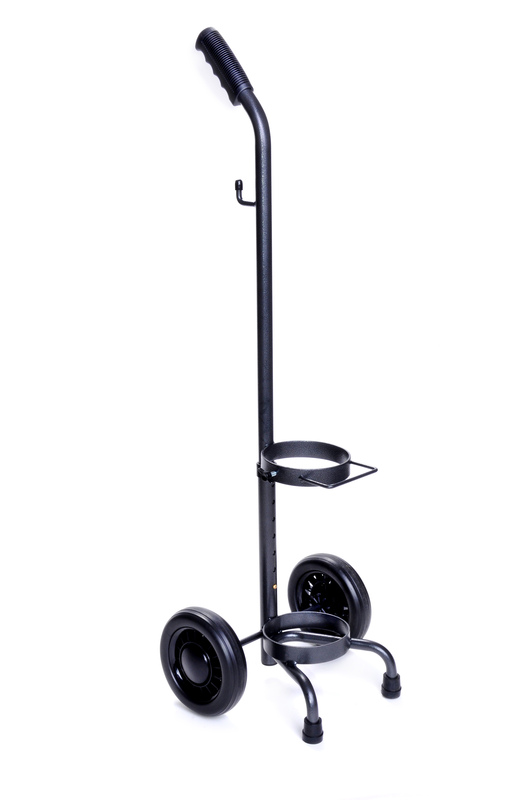 The cart has fluid bearings and 6-inch solid caster tires for smooth mobility on a variety of surfaces. Adjustable handle height from 36 - 42". A chrome-finish steel frame resists corrosion. The overall width is 12". Cart is designed for use with D and E type oxygen cylinders/tanks.